Connie Brewer, the executor of the Martha Lou Henry Estate, presents a check to Pastor Keith Ritchie of Faith United Methodist Church. MARTINSVILLE, VA– Every nurse has the opportunity to change lives for the better. It would not be possible to estimate the number of lives Martha Lou Henry touched over her lifetime. For over four decades, she served as a nurse at Children’s Medical Center in Martinsville, VA. After she passed away in 2018, she set into place a legacy that will continue to impact the community and change lives for the better for many years to come. 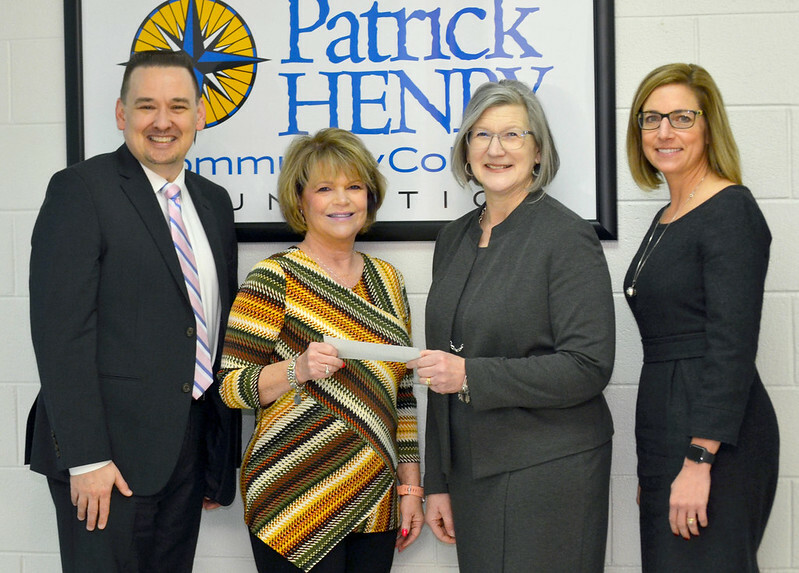 (From left) Dr. Greg Hodges, PHCC’s Vice President of Academic and Student Success Services; Connie Brewer, the executor of the Martha Lou Henry Estate; Dr. Angeline Godwin, PHCC’s President; and Tiffani Underwood, the interim director of the PHCC Foundation.